I got the quilt put on the frame. I noticed that when I stretched it out that the sides are all on the bias. I do hope that I don't have a big problem on my hands when it's all finished. 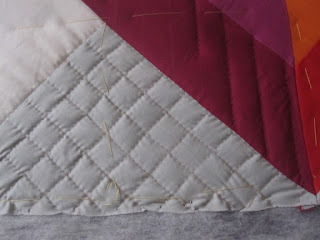 I did start quilting it but there is no way that I want to do this much quilting in each triangle. I think I will stick to keeping it real simple. 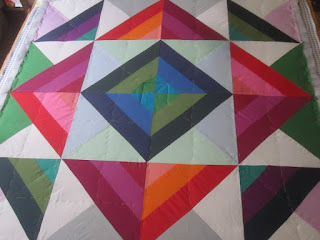 I want the colours to stand out - not the quilting. Are you hand quilting this? 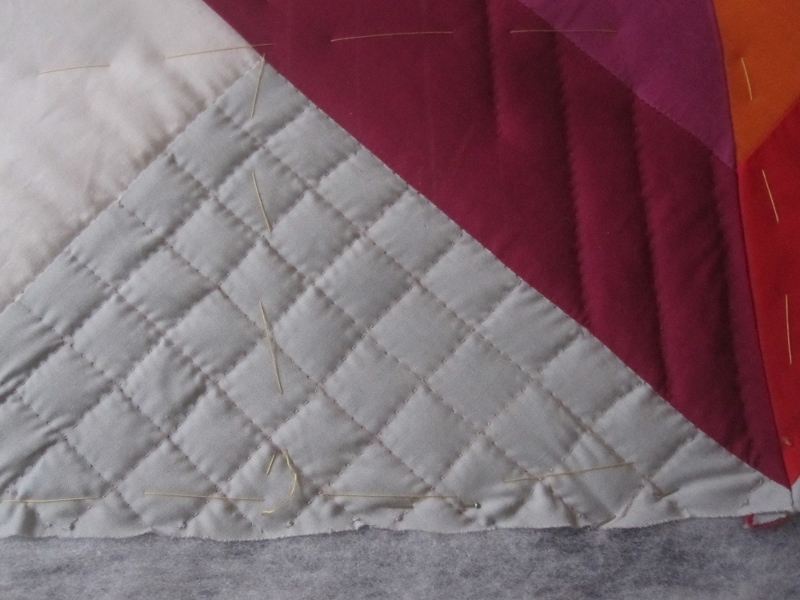 How about running a tiny almost gathering thread on the bias edges, to make sure it comes in straight? Lovely colours and pattern, my favourites with blues and greens. Oh Dolores that quilt is just lovely!!! I agree with Jean, maybe you can baste the edges?